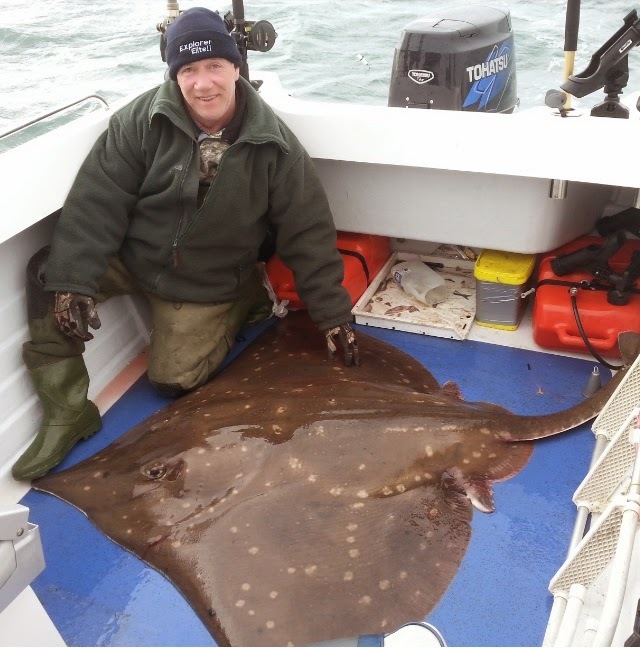 Mark Fishwick caught this Common Skate off Jura from his own boat. The fish fell to Mackerel and Squid on a Mustad bronzed hook, 25lb leader and 80lb braid. After a quick photo the fish was returned unharmed.